More and more home and business owners are investing in solar panels as a source of energy. 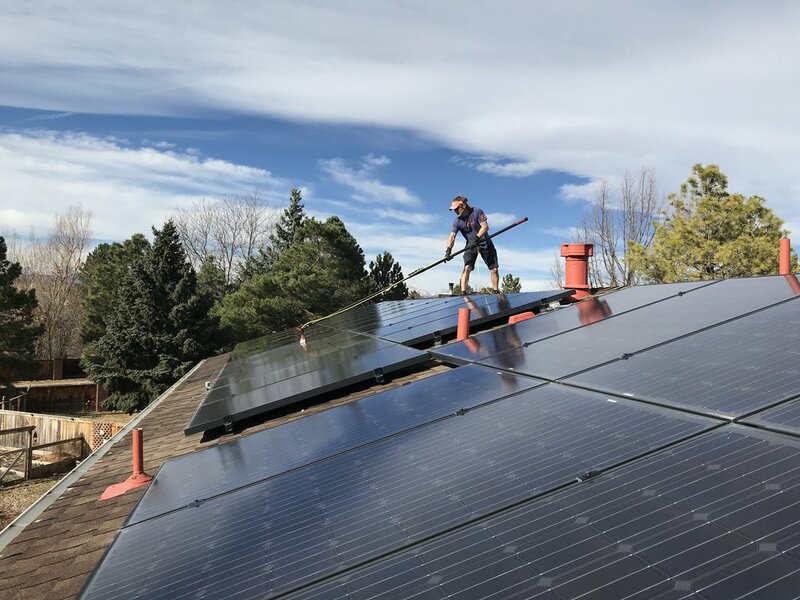 We can help maintain these solar panels to ensure that they are operating as efficiently as possible. 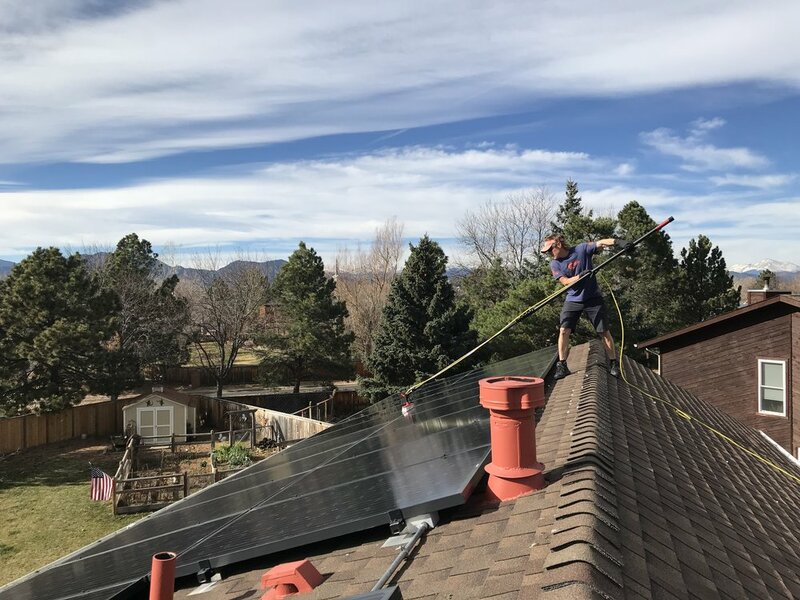 We clean the solar panels with a water fed pole system using purified water. This system works by running your spigot water through a deionization tank. This purified water is then run through a pole with a soft cleaning brush on the end. This allows us to scrub each panel and then rinse clean for a spot free shine with no mineral deposits. This pole also extends to multiple lengths to allow us to easily reach all panels. How much efficiency is lost with dirty solar panels? Of course that will vary, since there are quite a few variables. Just contact us to get an accurate estimate by phone. We are always willing to come out and look at your home or business for a free no obligation estimate.